Every aspect of our lives is becoming a set of projects. The speed of change witnessed in the past decade has radically affected the way we organize and manage our companies and work. Many of the traditional activities in organizations will soon be carried out by automation and robots. In this new landscape, projects are becoming the essential model to create value. In short, we are witnessing the rise of the project economy. Leading projects thinker Antonio Nieto-Rodriguez explains the reasons behind, and the tremendous consequences, that this unnoticed disruption is having in our lives. He looks at how some leading companies, governments, schools, and universities have already embraced projects as the way to deliver on their strategy and ambitions. Ultimately, this book explains how individuals and companies can develop the competencies required to transform and thrive in the new digital and project-driven economy. Everybody is working on and/or managing projects –a project guru provides the keys to success. ● We are increasingly spending more time on projects (by 2025, the author predicts managers will spend 60% of their time). ● Projects are becoming the normal way of working –learning the key skills of project planning and execution is now essential. ● Written by a leading authority in project management, who has been recognized for his world-class thinking. 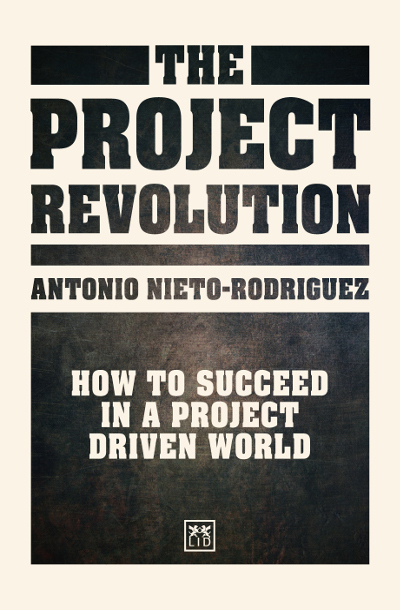 Antonio Nieto-Rodriguez is one of the world’s leading authorities and thinkers on project management. He was awarded the Thinkers50 award “Ideas into Practice” and is a visiting professor at Duke CE, IE Business School, and Skolkovo Business School. All organizations are on a trajectory to a future: their default future. This is where they will end up if they take no action other than that currently planned. Leaders are accountable for confronting this default future and taking the actions needed to set a trajectory to an improved future. Sounds easy, but the challenge lies in understanding the forces both internal and external that determine the current trajectory. Only then can strategic opportunities be explored, a trajectory of strategic intent defined and the conditions for turning strategic intent into operational reality put in place. This book won t tell you what your strategy should be, nor does it present a multi-step approach to developing strategy. What it will do is help you understand why developing and executing strategy remains such a challenge. It will also help readers understand the role they need to play at a personal level if they are passionate about leading their organization beyond its default future.